I’m pretty sure I am sometimes. I know, what an admission to make! If, like me, you’ve grown up through the fifties, sixties & seventies you will have internalised a lot of institutionalised sexism and not even realise it. I remember the first time I saw a woman driving a bus. For an instant (until my sexist rule came into play) I was flabbergasted. Why? Because up until that point I’d only seen men driving buses so it looked ‘odd’. The idea of being ‘married in church’ by a woman was weird too. Yet there were female registrars galore. I had to check my sexism. A rule of thumb I developed as I was growing up was, would I think this odd if roles were reversed? Just flip it. Replace ‘woman’ with ‘man’, and vice versa, and check out how it sounds. 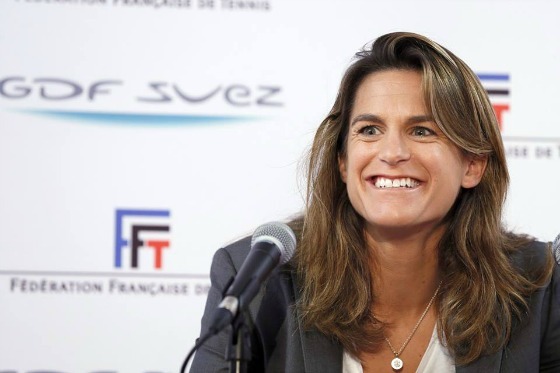 Recently our top British tennis player hired a female coach. Overall the media held itself in check and I didn’t actually read any descriptions of what she looked like (although that discretion does not extend to female tennis players). However, I did hear lots of media talk about the wisdom of his hiring a female coach as clearly she wouldn’t have played men’s tennis, and babble about her not being able to go into the locker room with him after matches. Until someone pointed out that most professional women tennis players have male coaches. Never heard that remarked upon and I’m pretty sure they aren’t allowed into locker rooms. Thus, sexist coverage. RenewYou is my one day personal development for programme for women, licensed to excellent trainers across the world. Check out your nearest one. Jane, I empathise with what you say and I work very hard not to be sexist, however (and there’s always a ‘but’, isn’t there), I have never felt comfortable with male midwives. Now I’m not sure if that’s sexist as I was never 100% comfortable with any gynecological worker, including female midwives but I and other women I know have refused the administrations of male midwives. If they were doctors we would never dream of saying “No, don’t touch me I want a woman” – what’s that all about?